How do I change all the paths to be RGB red? How do I stop Illustrator offering me CMYK options and swatches and offering RGB instead? I did not realise that RGB was also an option under the fly-out (the right arrow(s) in the upper right corner of the Color palette). It's also worth note that I should (could?) have chosen the document color mode by selecting a correct new document profile in "New document" dialog box. Not the answer you're looking for? 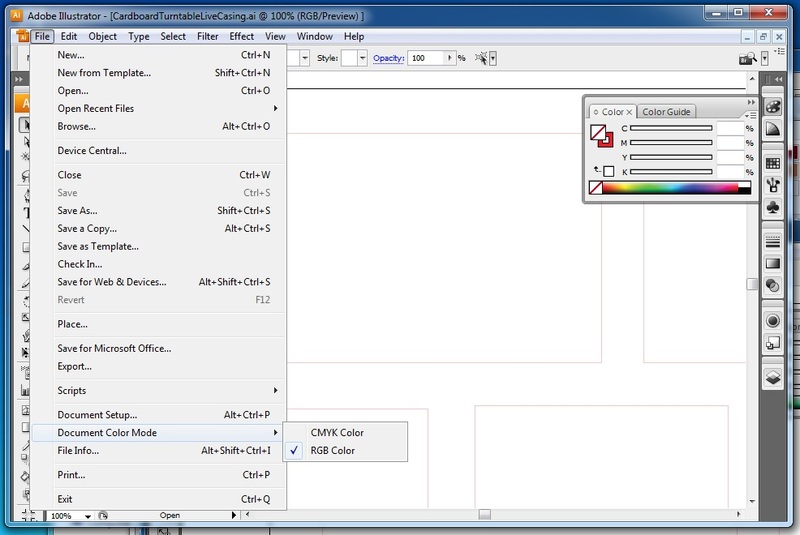 Browse other questions tagged adobe-illustrator color laser-cutting or ask your own question. Illustrator and CMYK or RGB mode when using Pantone colors? How to make sure the color of PNG file in InDesign is similar with PDF file exported?